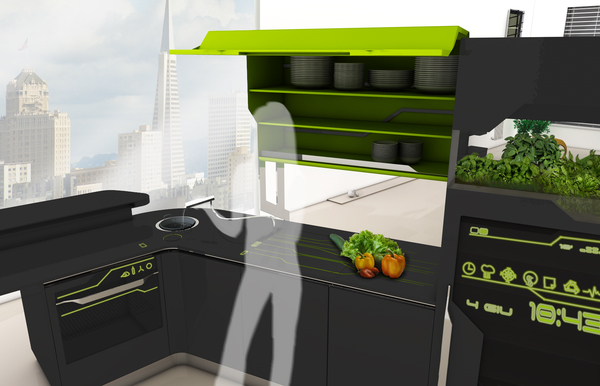 I Food is a concept kitchen design by Chiara Daniele that is basically a mobile cooking system that can be controlled remotely. 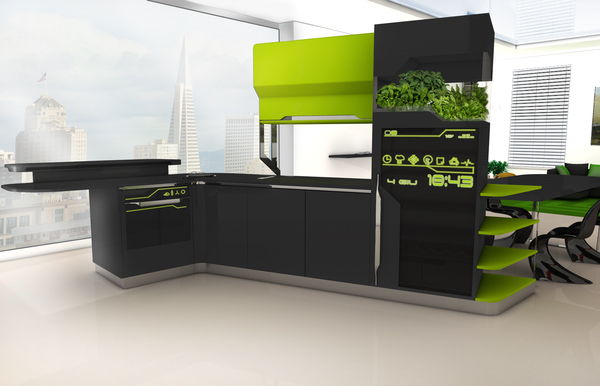 The i Food kitchen system is not only designed to have high tech appliances and devices but it also has a futuristic aesthetic that makes it a great asset to a modern home. 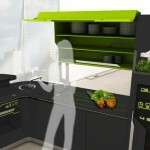 The i Food cooking system is controlled by a touchscreen panel on the door of the fridge. 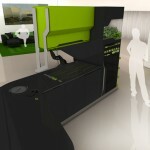 The system controls the energy waste, recycles waste water and steam power. The fridge door can become transparent or opaque to check the products inside of it without the need to open it every time. 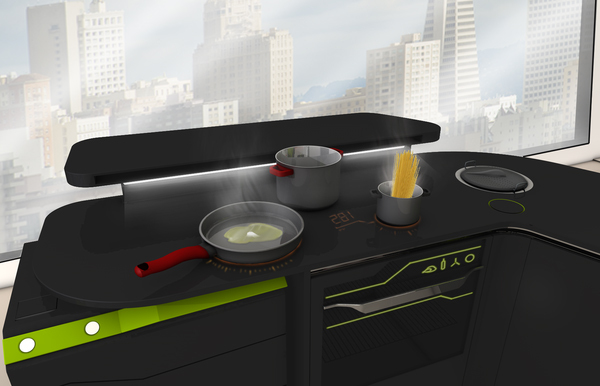 The touchscreen also allows to turn on the necessary appliances. 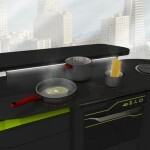 The stove features the integrated scales that show the weight of the added ingredients. 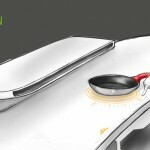 It also shows the temperature and the remaining time of cooking. 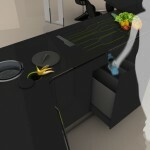 The sink can be used as a washing machine while the trash compartment is divided into three different sections. i Food kitchen also features a living area which includes table, several shelves and a TV. 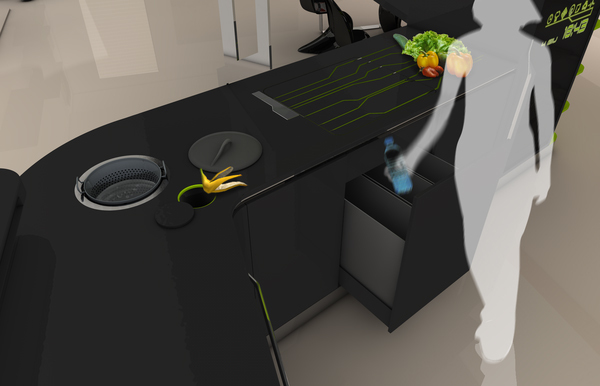 But since the cooking system is mobile it could be moved into another room or combined with a dining room which is quite space-conscious. 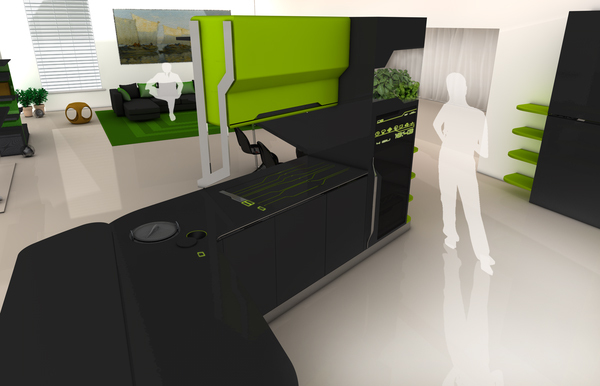 The eco-friendly features make i Food Not Just A Kitchen a great project of the future. 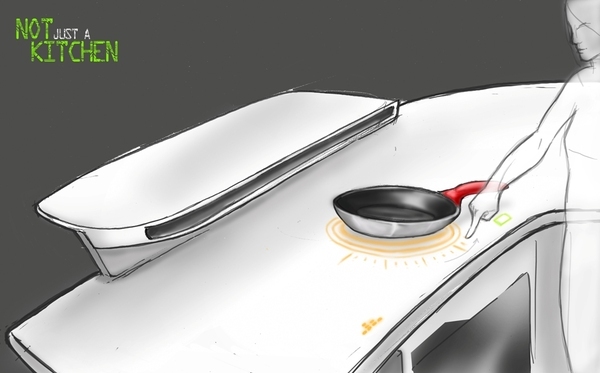 More and more devices and designs take energy and water waste into consideration allowing reducing the waste as well as reuse and recycle the sources.